Not for the first time my parents have provided me with LARP kit. 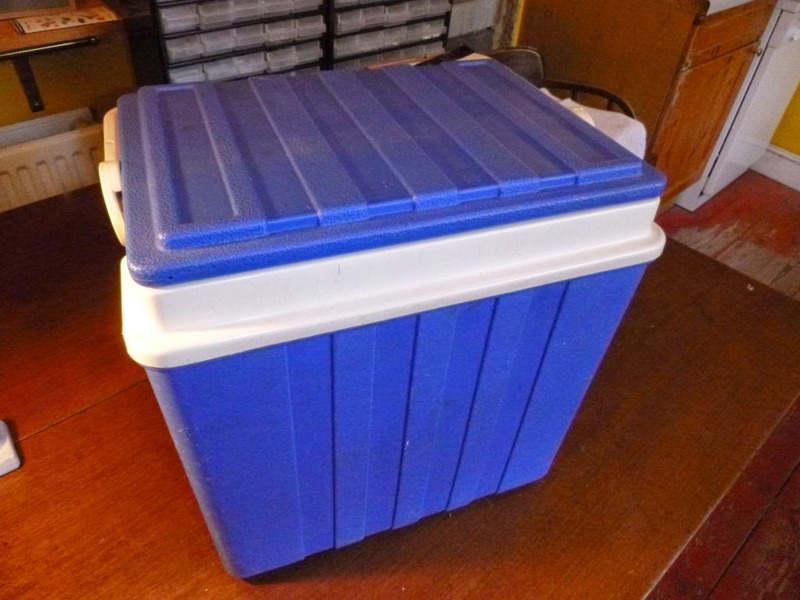 Months ago they asked me if I wanted this old plastic coolbox and I sensibly declined. Now, with a Blake's 7 LARP coming up I remembered the offer and picked it up from them. 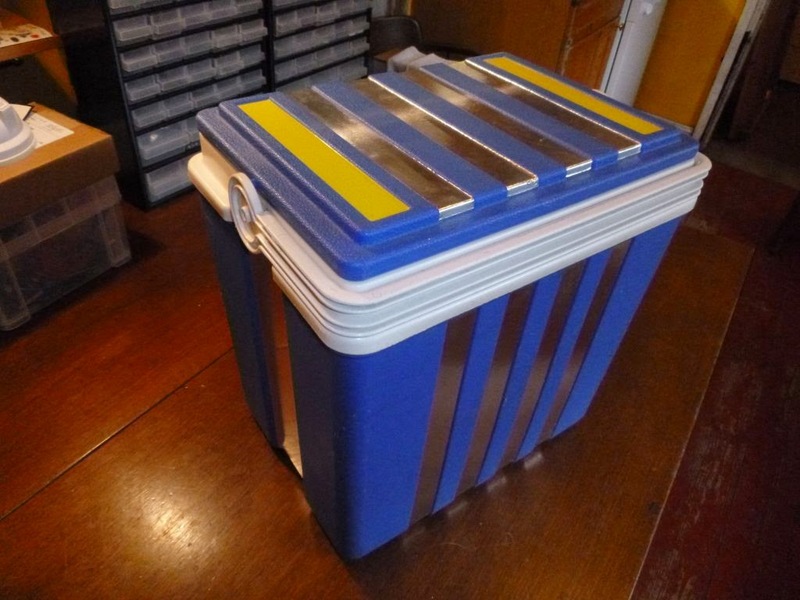 On numerous occasions, particularly in series 1 & 2, it looks like the B7 crew use a large plastic coolbox as luggage. A combination of aluminium foil tape and clashing yellow tape has given me something that looks late 70s futuristic. OK, so the box in B7 is generally red, but this is LARP not cosplay. Over the next few weeks I will attempt to fill it with a bunch of weird probe type tools like those Vila and Avon used. I'm, playing a technician type character and want to have some bits to play with in game. I reckon crocodile test leads, multimeter, a few things with flashing lights on etc. will work nicely.